Time Warner can justifiably hold out for more. Though the $80 billion takeover bid from Rupert Murdoch’s Twenty-First Century Fox includes a 20 percent premium, his quarry may well have been on track to achieve that on its own with a bit more time. The Looney Toons-to-HBO group’s Chief Executive Jeff Bewkes has a reasonable degree of negotiating power. A 35-year Time Warner veteran who became boss in 2008, he is well versed in the ways of deal-making. Bewkes lived through the creation of the conglomerate, including the acquisitions of Warner Communications and Turner Broadcasting and the notorious merger with AOL. He also spearheaded some of the subsequent dismantling, whereby the company jettisoned theme parks, music, books, sports teams, the internet unit, cable operations and ultimately the magazines that originally begat the empire. What’s mainly left is a solid collection of cable networks like CNN, TBS and TNT, the pay-TV powerhouse HBO and the Warner Bros. film and television studio. Though Time Warner’s EBITDA margins were better last year than in the comparable divisions at Fox, they’re also not growing as quickly. Even so, it isn’t hard to see how Time Warner’s shares might increase from the pre-offer price of $71 apiece where they were trading before Murdoch’s offer was revealed on Wednesday. Turner stations should generate about $4.3 billion of EBITDA in 2015, according to Evercore analysts. On a multiple of 12, they’d be worth $52 billion. The lumpier studio business, behind hits like “The Big Bang Theory” and “The Lego Movie,” at 11 times estimated earnings of $1.8 billion creates another $20 billion. And the well-established “Game of Thrones” producer HBO, at 10 times projected EBITDA of $2 billion adds $20 billion more. Subtract net debt and corporate overhead costs on a multiple of 10, and Time Warner reaches $81 a share. Throw in odds and ends like its central European TV investment and it equals the $85 Murdoch is offering. Looked at another way, Time Warner’s shares may not have fully reflected the Time spinoff, the fledgling restructuring plan for Turner under new boss John Martin, the company’s borrowing capacity or its continued cost-cutting capabilities. Modestly faster bottom-line growth than is anticipated by analysts at a slightly higher valuation is conceivable. What’s possible tomorrow, however, isn’t the same as a firm offer today. 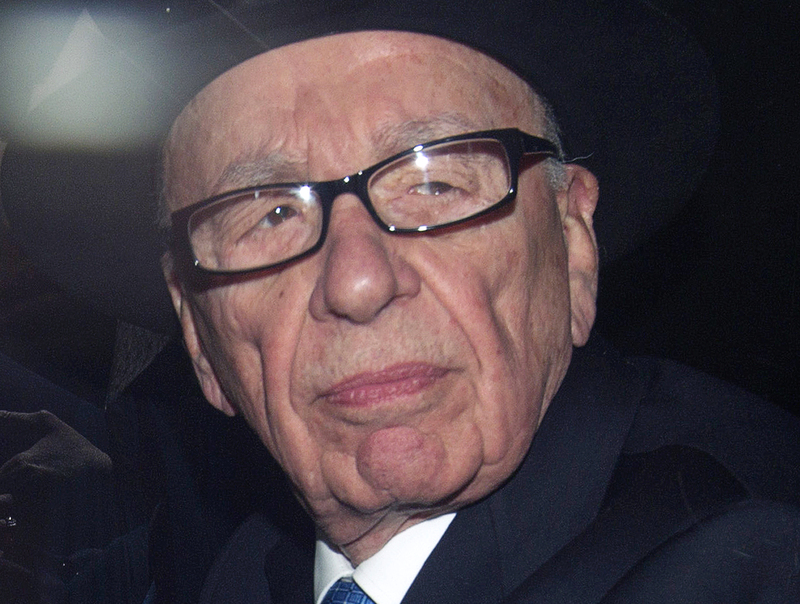 It does, however, mean that Bewkes has a few bargaining chips yet to play against Murdoch. Time Warner said on July 16 it had received a takeover bid from Rupert Murdoch’s Twenty-First Century Fox, which would have valued the company at about $80 billion. Fox offered 1.531 of its own Class A non-voting shares and $32.42 a share in cash. The target’s board said it was confident that executing on its own strategic plan would create “significantly more value” for shareholders than the Fox offer.